Finding good children's music has become such a dispiriting experience: the stuff on the racks is either a crass product tie-ins, a cheaply produced compilation, a gratingly saccharin moralizing, or all of the above. 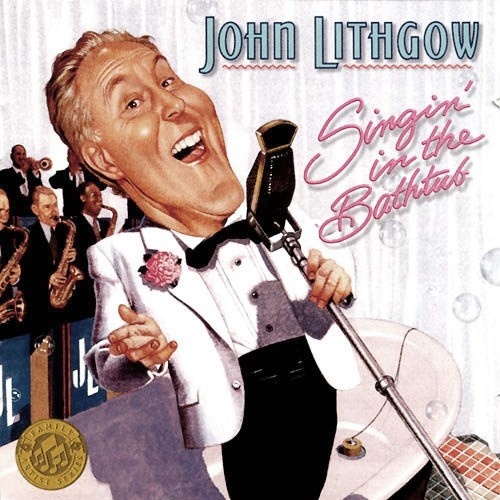 John Lithgow has single-handedly redeemed the children's music section with this release, Singin' in the Bathtub, which revisits the classic songs that he and his siblings grew up with. It's bright and cheerful enough that kids love it, and even more miraculously, it's clever enough that parents won't mind the wee one's demands of "Again!" Musically, it's somewhere between Tom Lehrer, Danny Kaye, and Cab Calloway, which is to say that it's all over the map, and wonderfully so. There's no scrimping on production values, either -- perfectly sunny big band backings on "Everybody Eats When They Come to My House," wry cocktail party piano on "I'm a Gnu," and a hauntingly beautiful children's choir on "Inchworm."